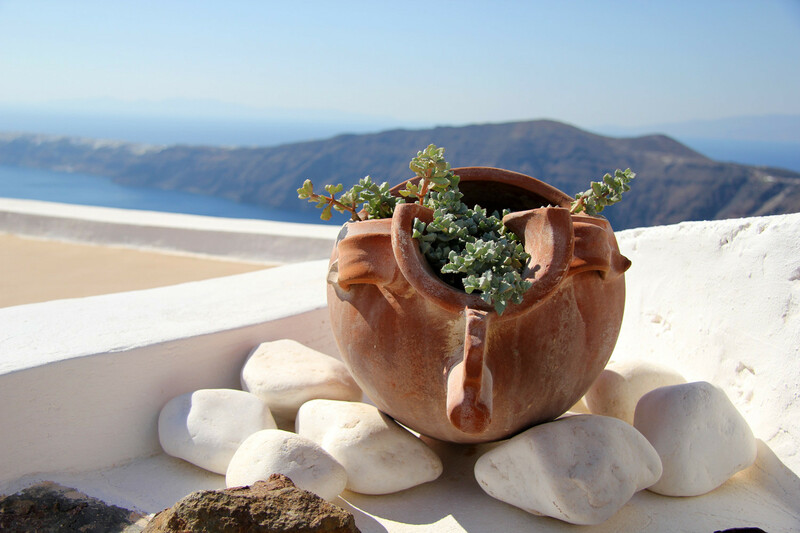 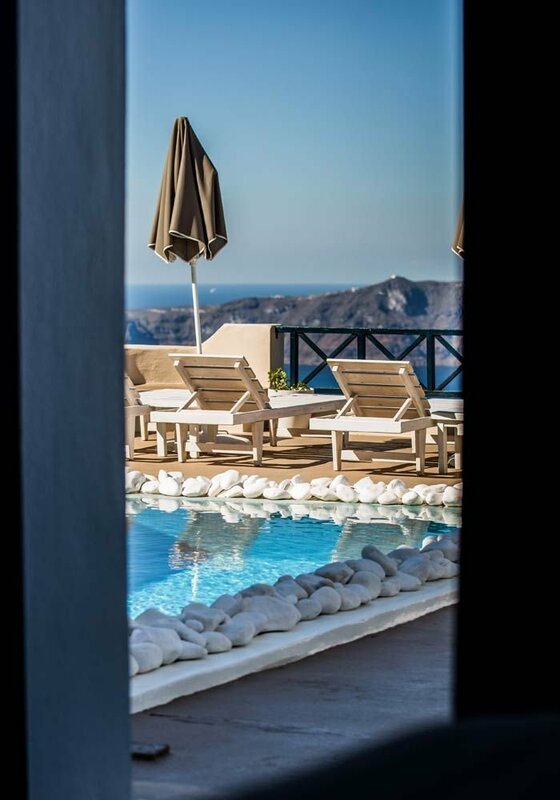 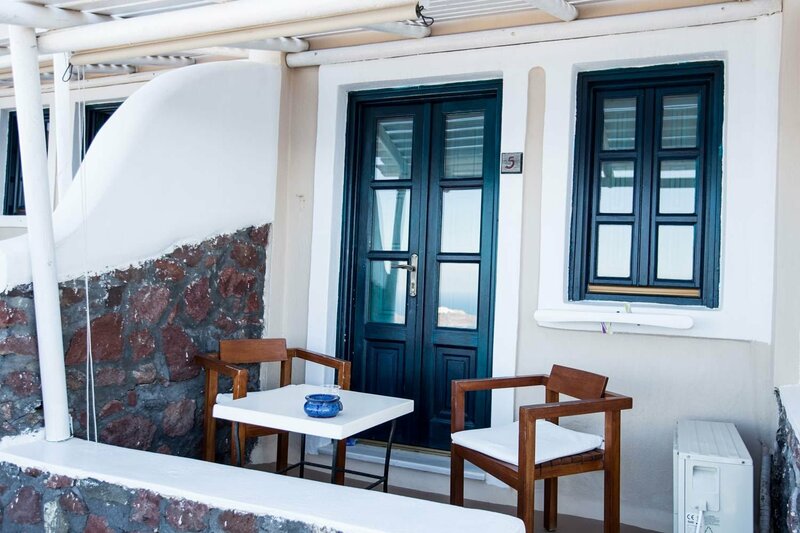 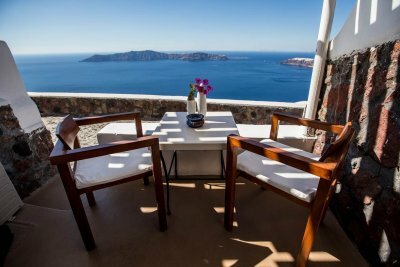 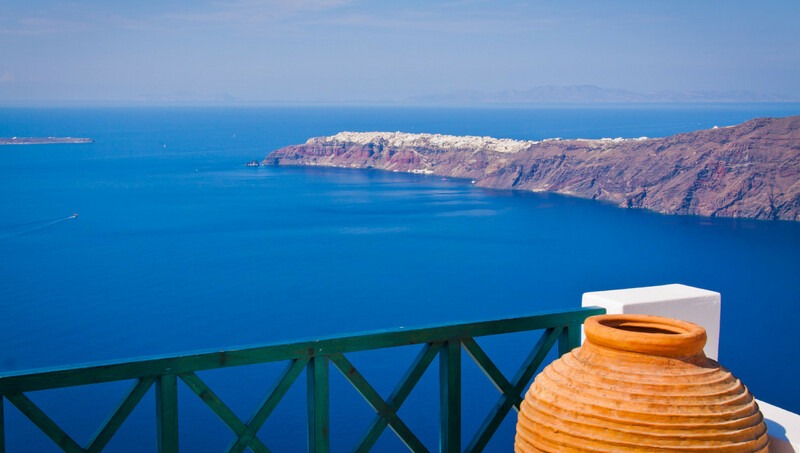 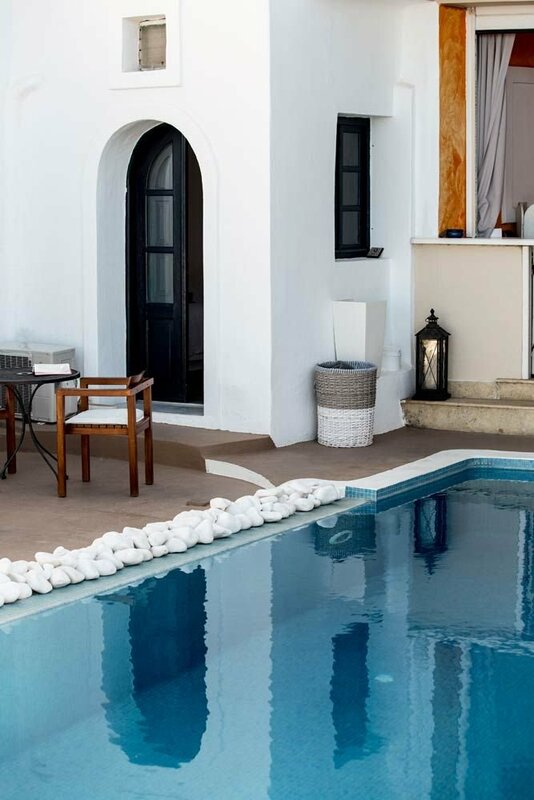 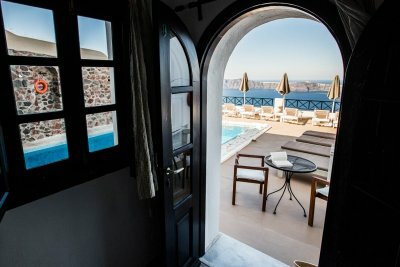 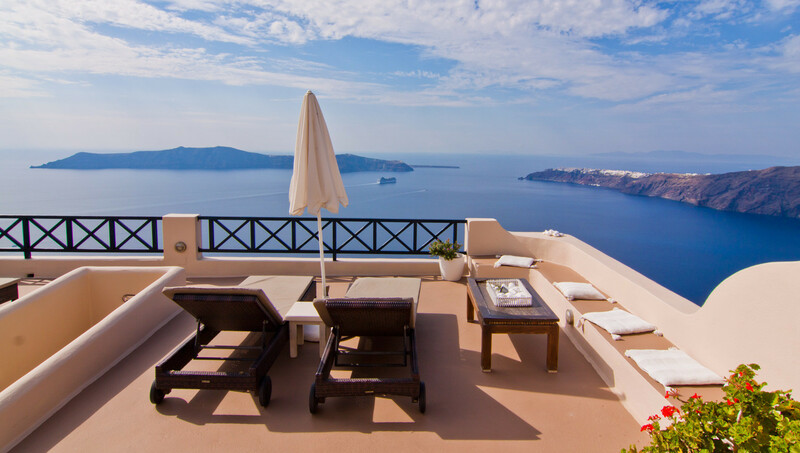 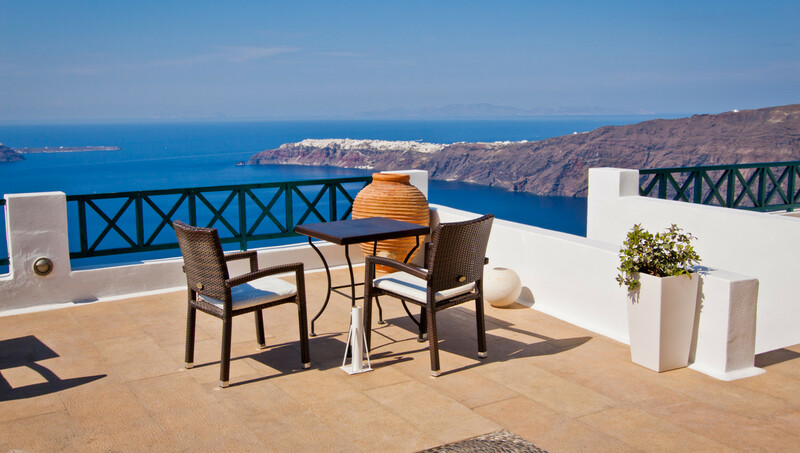 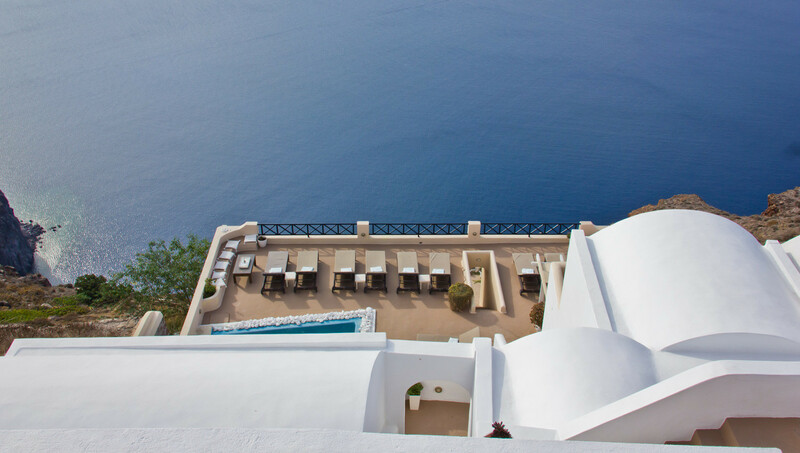 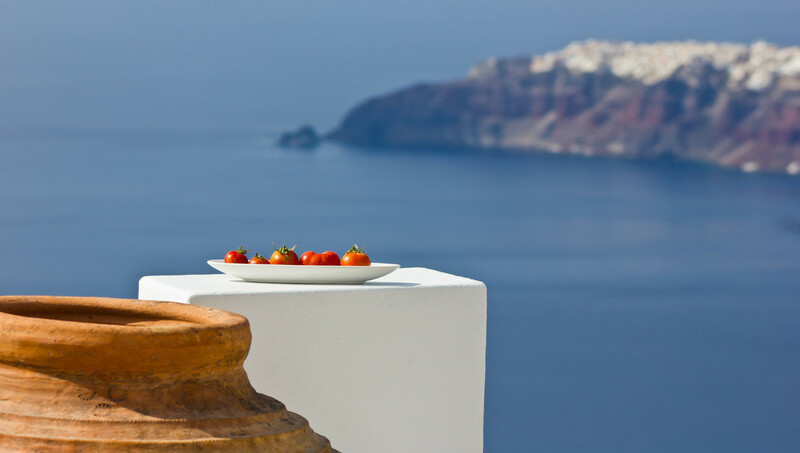 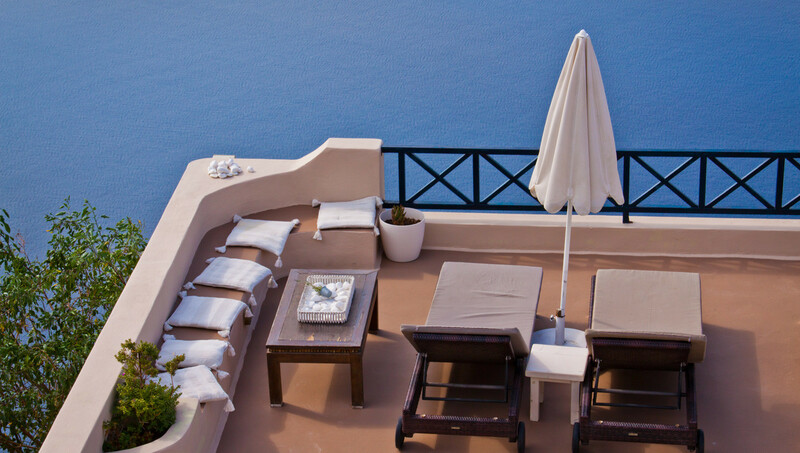 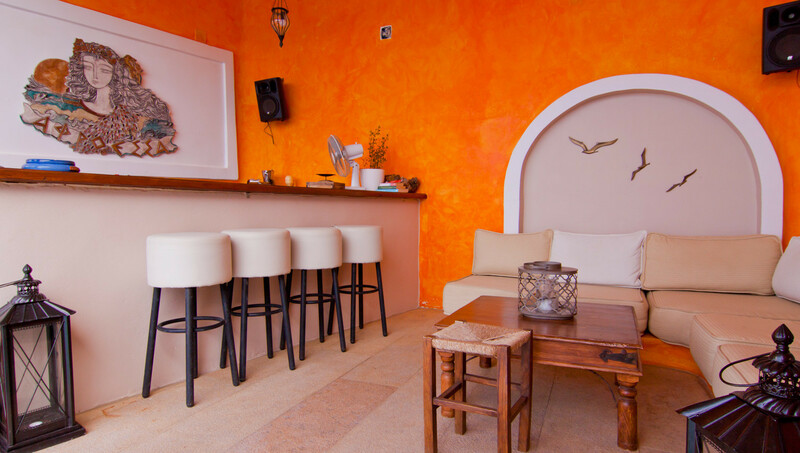 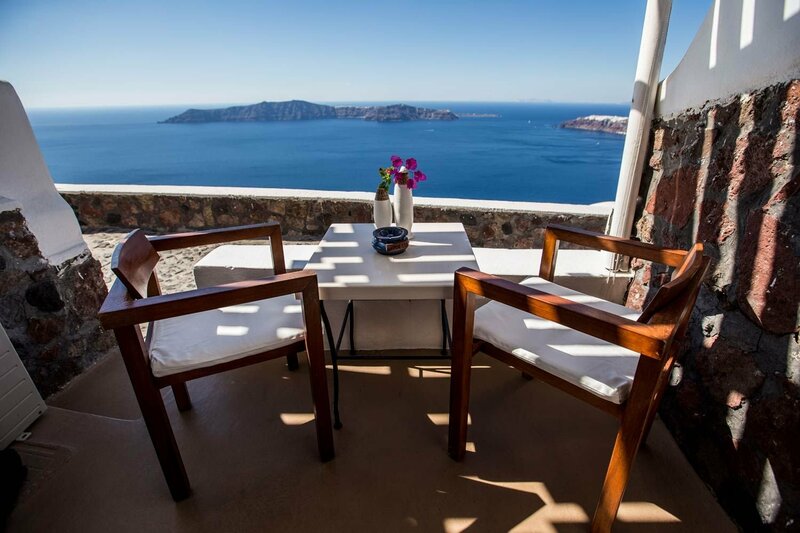 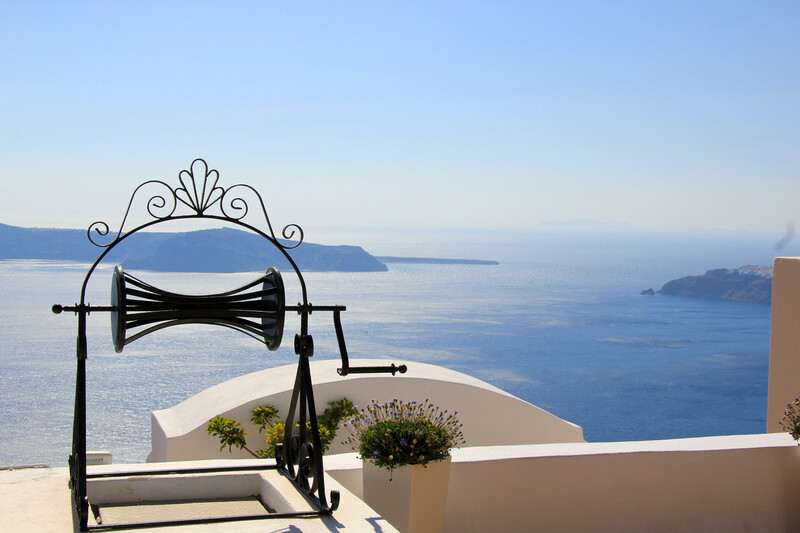 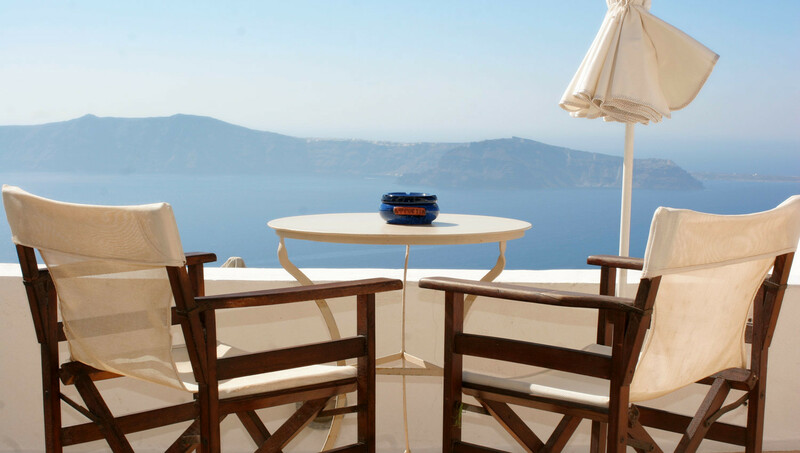 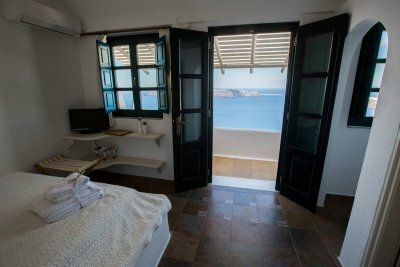 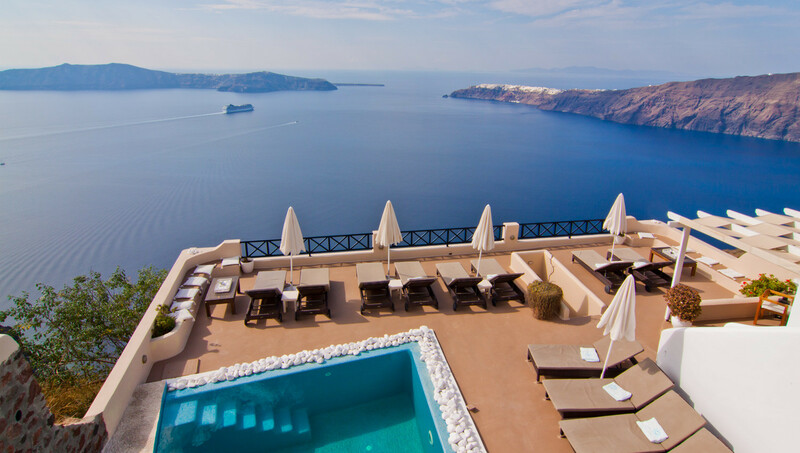 In the heart of Caldera, between Fira and Oia, the charming hotel Afroessa invites you to live precious relaxation moments in its romantic rooms and sea view balcony suites. 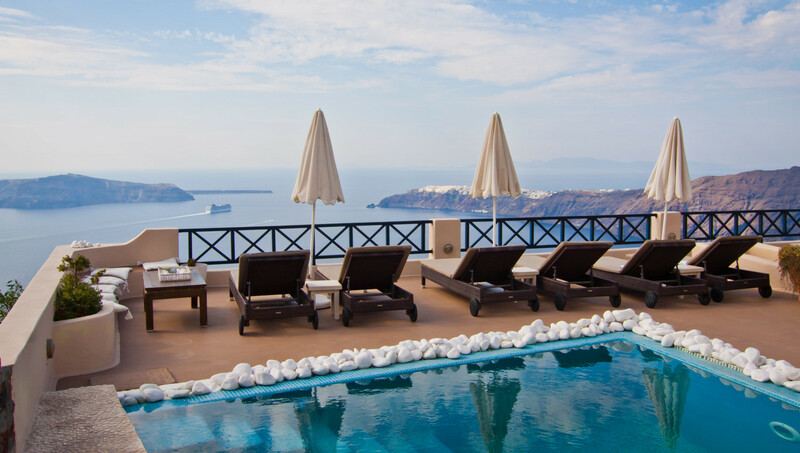 Try the refreshing swimming pool and admire the stunning view to the famous volcano. 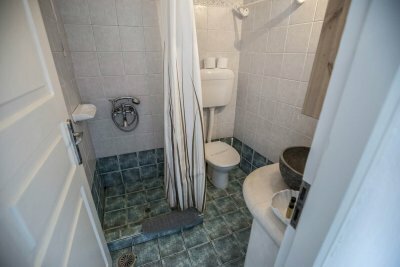 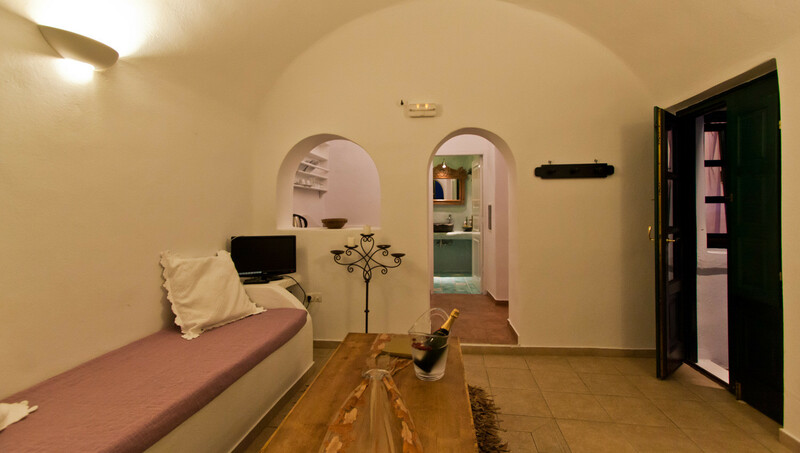 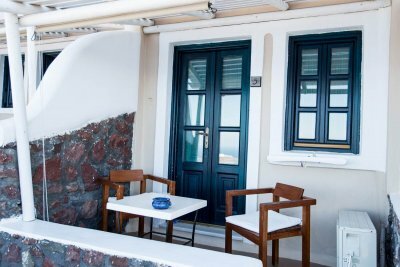 The hotel can be accessed by the street and by the picturesque small alley between Fira and Oia. 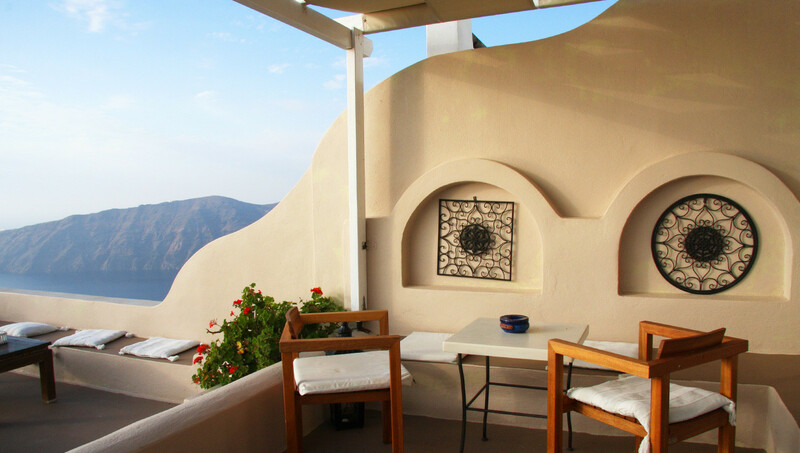 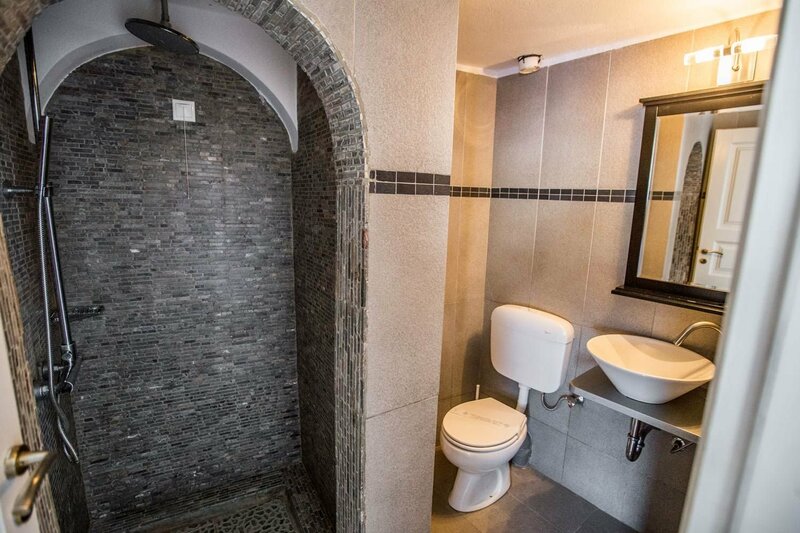 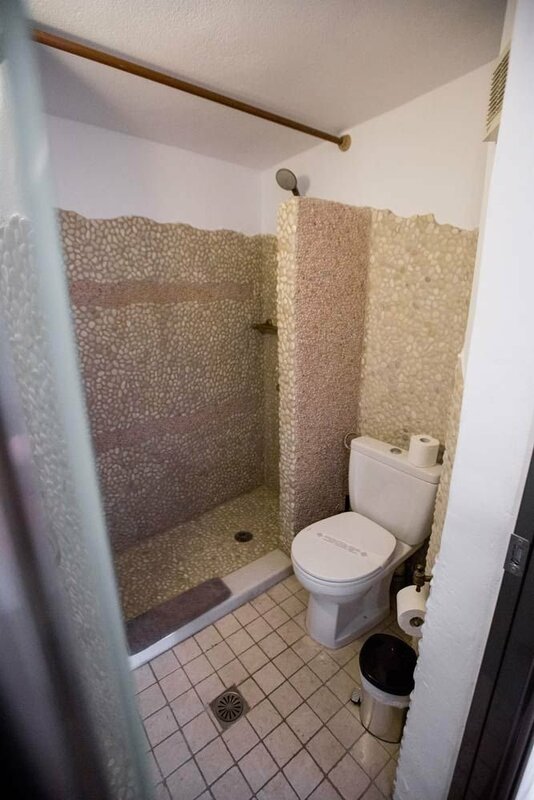 It is built in various levels thus offering panoramic view and has a typical Cycladic architectural style. 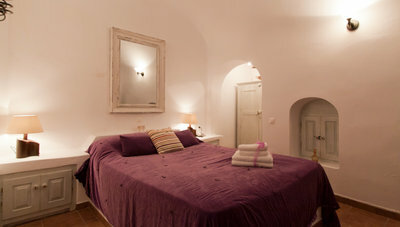 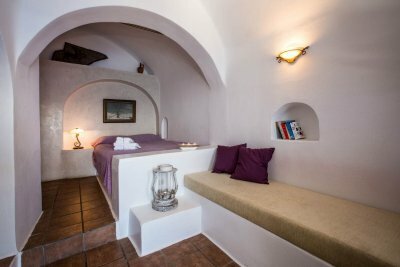 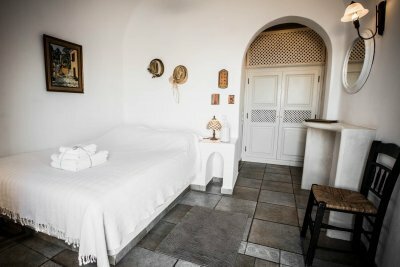 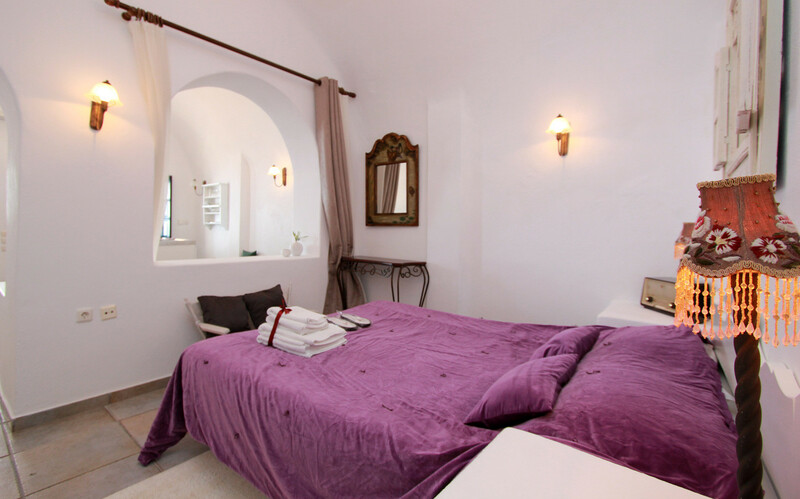 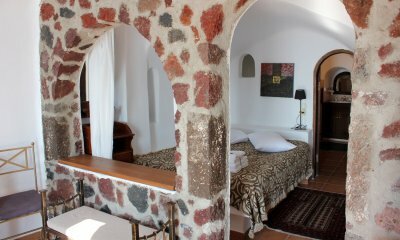 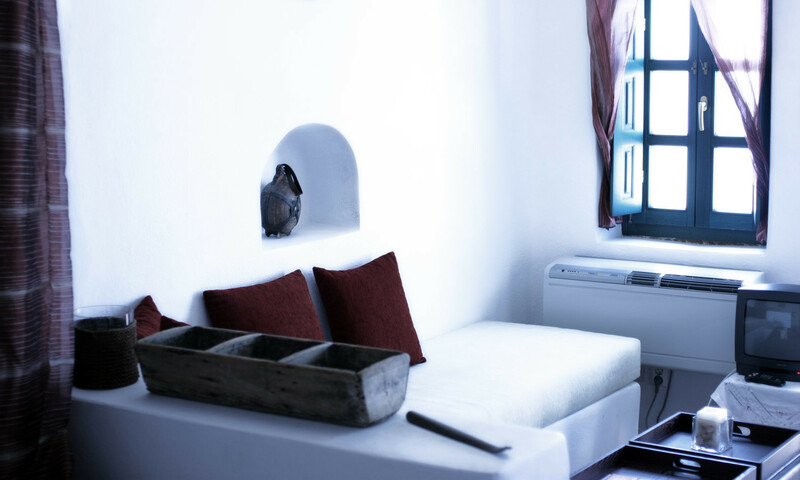 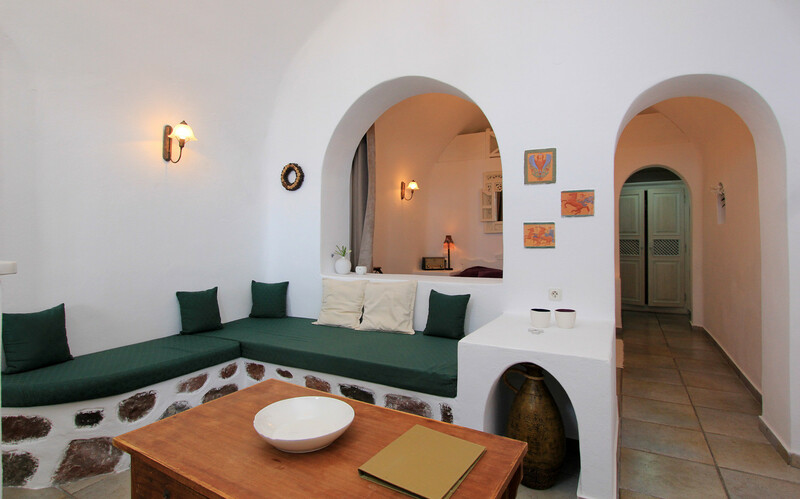 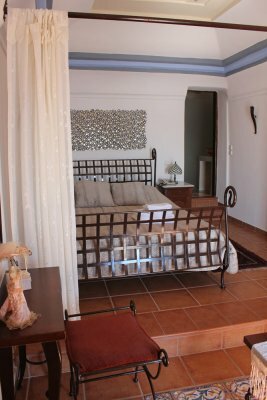 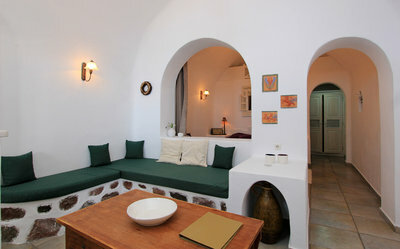 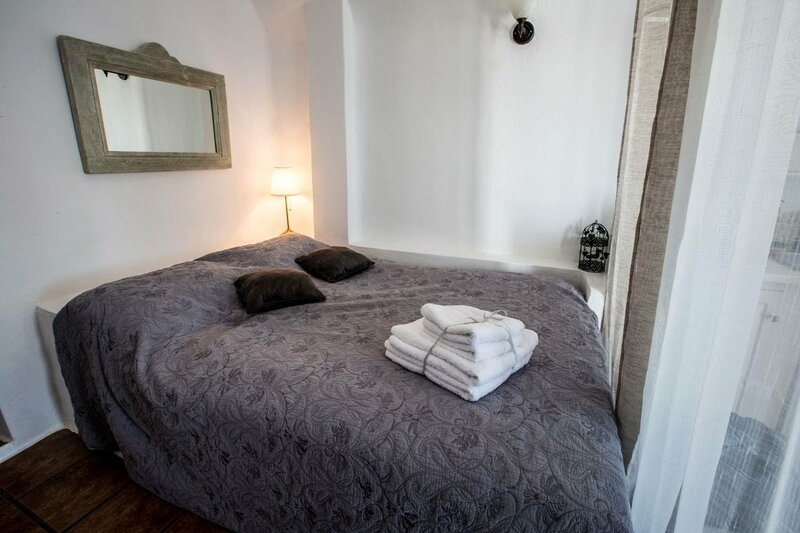 All rooms have parabolic arches and built-in beds while they have elegant decoration and furnishing in the Cycladic style. The pool and poolside bar are at your disposal serving various snacks, coffee, refreshments and cocktails. 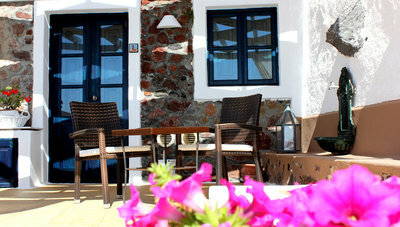 Enjoy them while admiring the view to the sea. Traditional breakfast is served upon request. 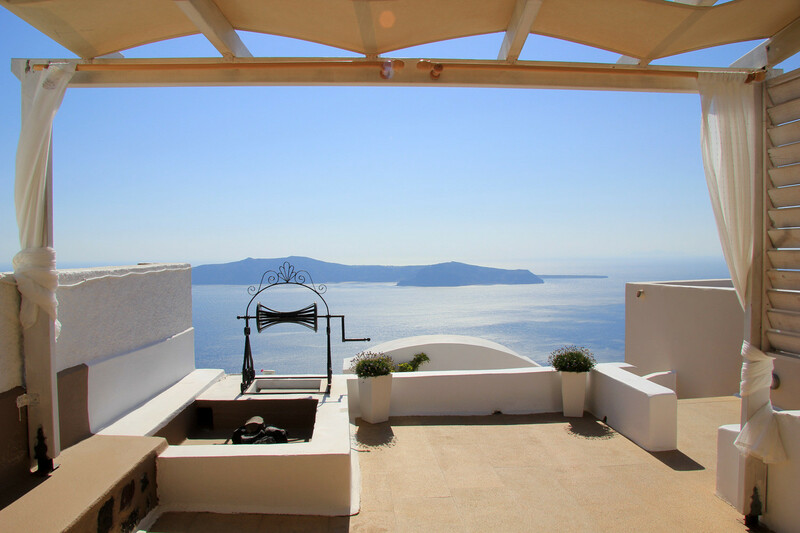 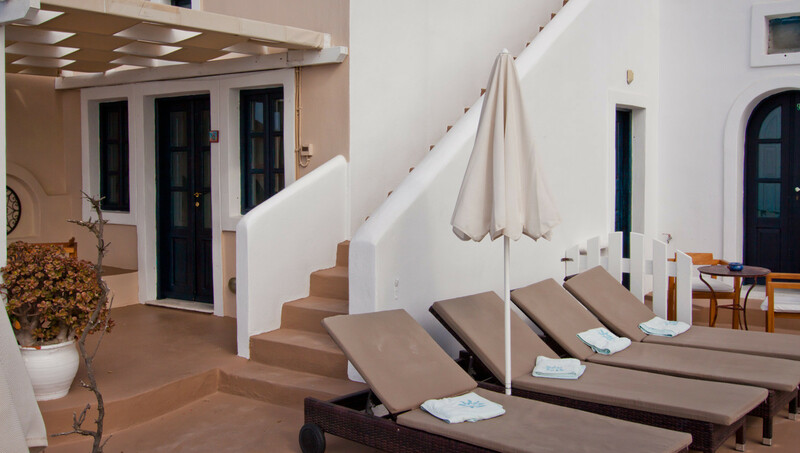 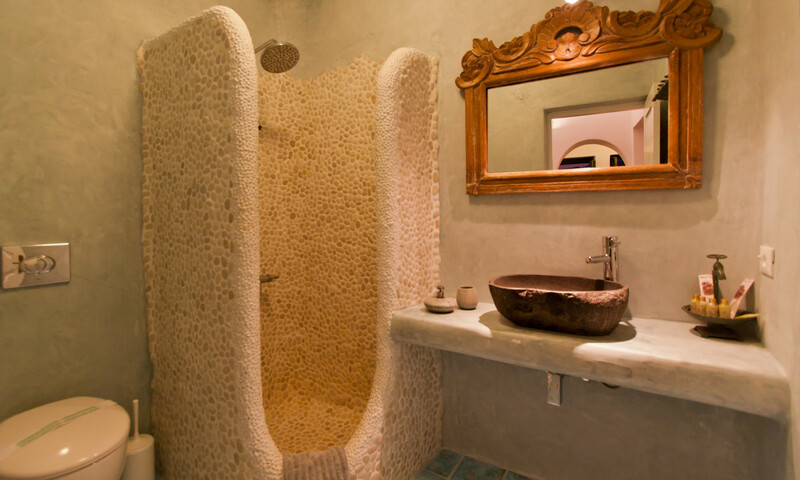 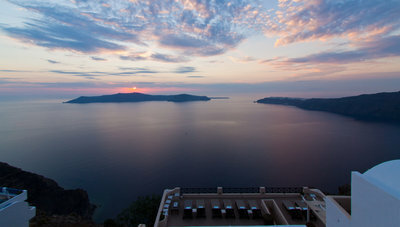 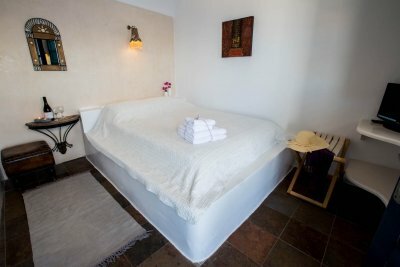 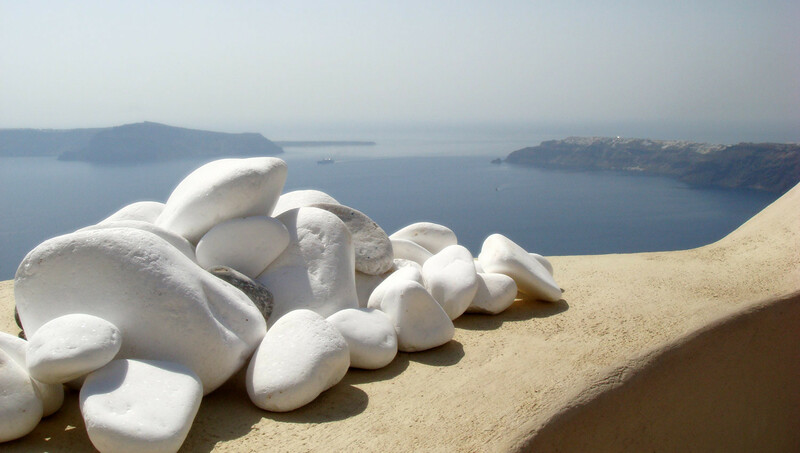 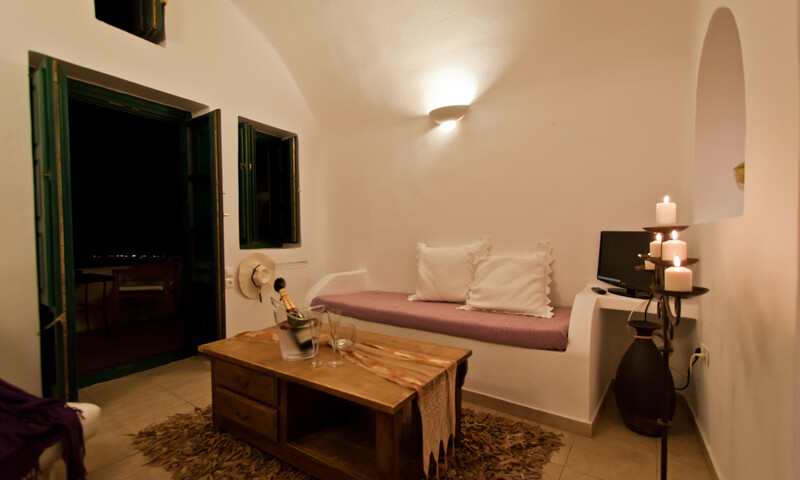 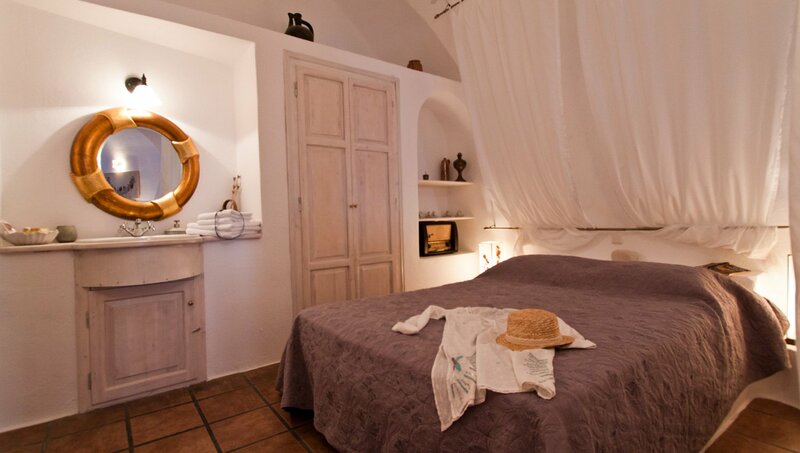 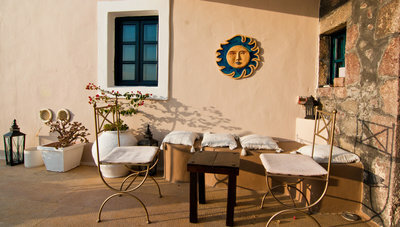 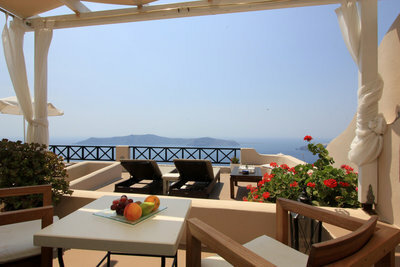 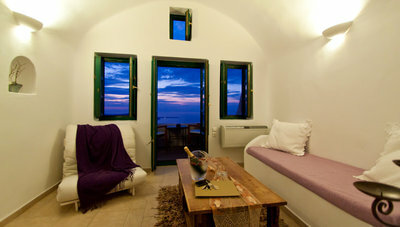 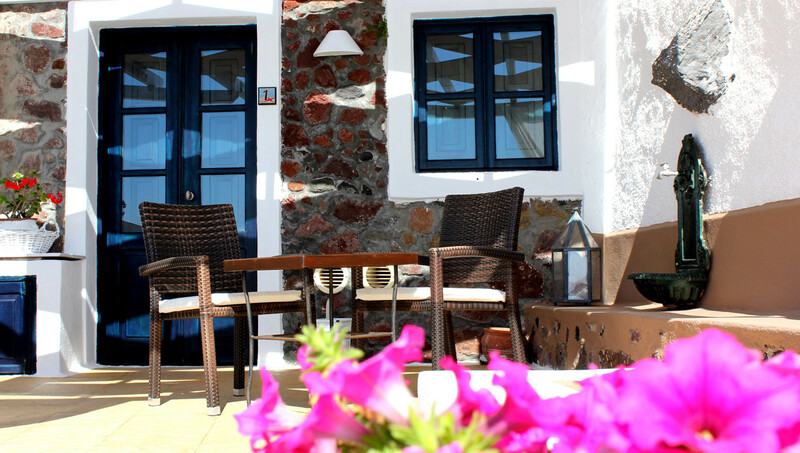 All rooms and charming suites will please the lovers of Santorini and of its magical sunsets. The perfect base line to discover this marvelous island. 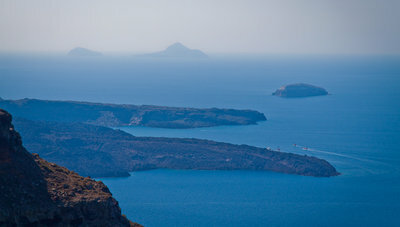 From the airport (10 kms, approx. 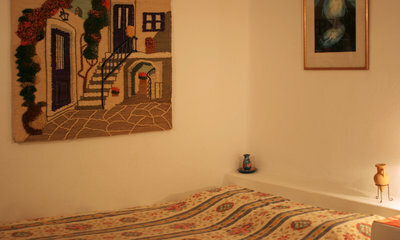 15ʼ drive.) or the port (13 kms, approx. 20ʼ drive. 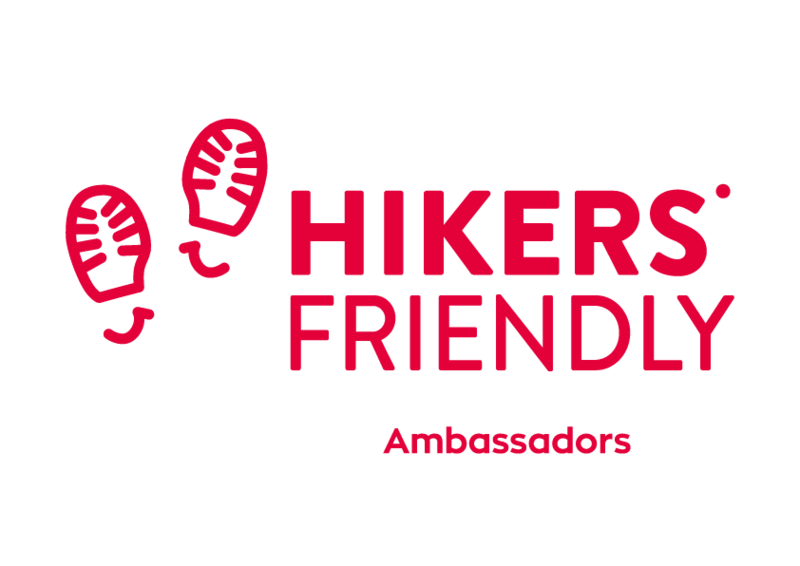 ), follow the direction of Fira and Imerovigli. Children 1 2 16 - 18 y.o. 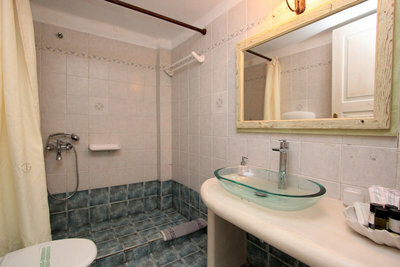 Baby 1 2 3 4 5 0 - 16 y.o.